What is The Anglesey Hotels cancellation policy? If you need to cancel or change your booking, please do so before 12 noon the day before you are due to arrive. If you make your cancellation after 12 noon the day before arrival, you may be charged for the first night of your stay. The card details provided on booking will be used to take payment if necessary; however you will be contacted first. When you cancel your booking, we will give you a cancellation reference number. Please make a note of this number for proof of your cancellation. 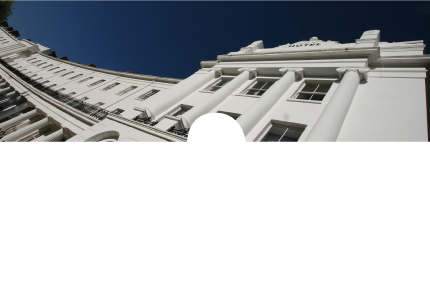 To cancel a booking with The Anglesey Hotel please call or email us. You need to know the booking reference number, the name the reservation was made under and the date of arrival. Once you have cancelled your booking we will send you a cancellation confirmation email. The Anglesey Hotel would give a full refund on a cancellation that gives 48 hours notice from midday. The Anglesey Hotel accepts payment by cash, credit/debit card (VISA, MasterCard, American Express, Maestro and Electron), Business Account and cheque. Payment is taken when booking online. If booked over the phone payment can either be taken at the time of booking or on departure from the hotel likewise if booked via email. You can reserve your room by giving your credit or debit card details at the time of booking or by paying for your room in full in advance of your arrival. Payment can be made by debit / credit card, cash or cheque. A debit / credit card used must have an expiry date that is valid after the date of stay. Rooms are available from 1.30pm on the arrival date. Please let The Anglesey Hotel know if you are likely to arrive after 11pm. Your room must be vacated by 10.30am on the day of departure. Failure to leave your room by this time may result in a late checkout charge. Family rooms offer a double and single bed. A z-bed can be arranged for a small child. These rooms offer accommodation for up to 4 guests. (3 adults max + 1 child) The Anglesey Hotel operates a 100% no smoking policy throughout. Smoking in a bedroom may result in a fine. Breakfast is served between 7.15am and 8.45am on weekdays and 8.15am and 9.45am on weekends and bank holidays. Breakfast is included in the price of all rooms unless otherwise specified. Meals are available in the restaurant between 12 noon and 2.15pm and 7pm and 10pm. Items on our menu are priced individually. The same times apply to eating in the bar area. The same menu runs throughout. Room service is also available during food service times. With the exception of assistance dogs, no pets are allowed in The Anglesey Hotel. Electrical appliances, such as toasters, mini cookers and portable grills, may not be used in the rooms as they may set off the sensitive fire alarm system. Reservations for rooms are non-transferable and must not, under any circumstances, be sold or otherwise transferred to a third party who is not a member of your group. You must not advertise/market or otherwise offer any Anglesey Hotel room for sale either on its own or as part of a combined offer. Prices include VAT.